Each year for me, October means cool nights of playoff baseball. This year I have something to warm my insides from the chill night air. And I don't mean gin. 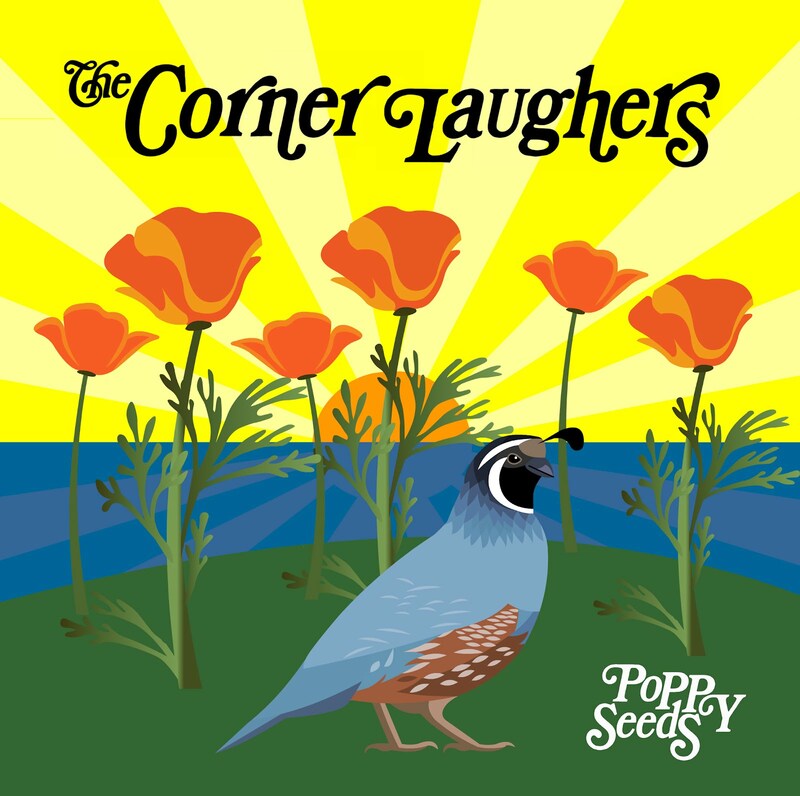 No, right now I'm all ajitter for the latest release from The Corner Laughers, "Poppy Seeds." What can I say about The Corner Laughers, one of my favorite indie acts of the past few years? I've been meaning to put together a review of "Poppy Seeds" for a few weeks now, but I've been overwhelmed by just how great the new album really is. One band should not be this good, this sweet, this smooth, this clever, this catchy, this sparkling, this smart, this funny. The songs are little bits of sugary sweet gossamer strands of molasses that you keep trying to get off your fingers but continue to tangle you up in sticky goodness. Karla Kane's voice surely is one of the biggest reasons for all that sweetness. There are few voices so perfectly complimented by the music surrounding them, and few voices that are so obviously made for singing indie pop. Each of the 13 songs shimmers in its own way, like stars in the greying twilight sky. Like their previous albums the writing is the foundation of Poppy Seeds, very poetic, and yet not really poetry set to music. The themes are not terribly new for the Laughers, love and relationships are their mainstay subject matter. But this isn't stale and neither will you feel like you've heard it before. It's fresh and yet familiar. The songs are varied, from the lush layers of Laughing Stars, to the simplicity of the jaunty ukelele driven Twice the Luck, to the bouncy power pop of Transamerica Pyramid and Now That I have You I'm Bored. For me one of the stand out tracks has to be the pop gem I'd Rather Count Cormorants With You. How can you not like a song the gives a shout out to possible national league MVP the Giant's Buster Posey? 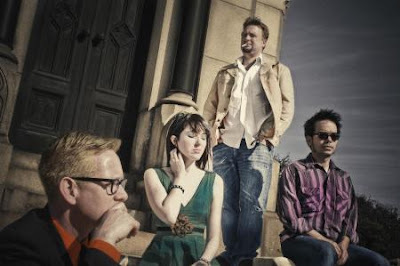 As with their last album, the sunny "Ultraviolet Garden" the production is again captianed by Allen Clapp of The Orange Peels. Poppy Seeds also features collaborations with powerpopster Mike Viola of the Candy Butchers as well as contributors Anton Barbeau, William Cleere and others. 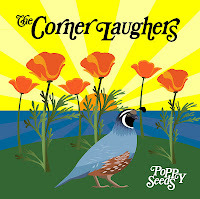 With three albums in the win column so far, The Corner Laughers are batting .1000 and on pace to keep hitting it out of the park with each new release. My first exposure to The Corner Laughers was "Transatlantic Pyrmaid", and I was hooked. And when I heard all of Poppy Seeds I was hooked even more. I ended up buying everything they've produced so far (and love pretty much all of it). I think you're right about the combination of Karla Kane's voice and the music she sings – they're made for each other. 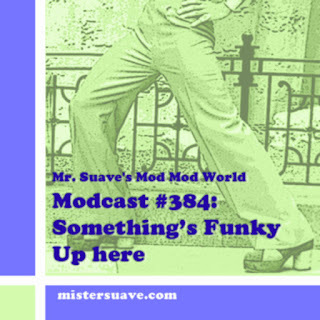 Thanks for spreading the word, Mr. Suave!